Who are you to decide what "should" be important to all of us here? To me, the fraud prevention (not having to have cards reissued) potential benefits are huge. And it's not your place to say that shouldn't matter to me. I agree with AllieKat. It's not just the acceptance problem with mag stripe cards, but EMV does have additional security benefits. If Walmart is allowing swipes of EMV cards, then the security benefits are negated. 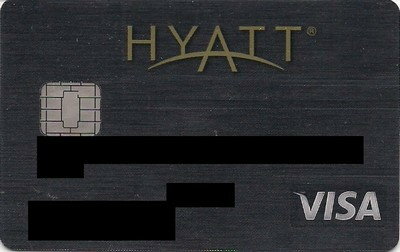 If someone clones the mag stripe on an EMV card, they'd be able to use it at Walmart now whereas they'd be forced to insert the chip, which they wouldn't be able to clone, if Walmart were enforcing the service code. True, we have effective no liability in the US anyway, but dealing with a stolen card is still something we'd rather not have to do. Which is something someone on THIS FORUM has already had happen. If Walmart hadn't broke their system, at the least they'd have thought the card didn't work and gave up entirely; and best-case Walmart would have realised what was going on and called the police. Sorry; of course I can't and shouldn't be speaking for everybody so in that sense, I apologize. No need to get angry, however. Ultimately, no matter how we feel here, the networks and the merchants will do what they think will cost them the least amount of money. This. I'm not even sure I 100% got all of my online merchants changed after Chase sent me the new card. Can't wait until I get nastygrams from a couple of them because the old number declines. 1. Accepted. Thank you for apologising. I wasn't angry, just upset. 2. Yes, but all too often they do what will cost them the least money TODAY. The stock market is biased against long-term results, and paying the bills today isn't helped with long term results. You better believe if Target could go back to 2005 and deploy a solution with EMV (though that'd be difficult without network support in the US) and end-to-end encryption they would. 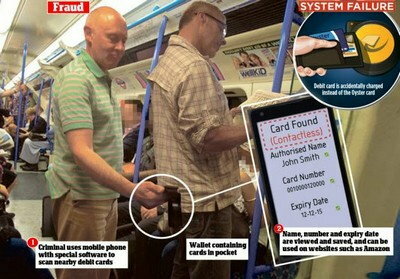 Making that information useless to hackers to make physical cards as long as the chip is always used 100% of the time. A hacker could still just find an online store that doesn't check CVV2 or AVS and still use the PAN and expiration date to steal money though. Providing a framework for additional security layers if properly implemented by all parties. For instance, the EMV chip could have a totally different PAN and expiration than what's printed on the card and as long as the issuer blocks all CNP transactions using it, that workaround in #1 is solved. It's also possible that end-to-end encryption would do the exact same thing as #1 too. Well, as long as someone doesn't break the encryption. And we got rid of all the magstripe skimmers out there. EDIT: speaking of not checking CVV2, apparently Omaha Steaks doesn't. They may still check billing address though, not sure. So assuming that $35 million is just for the cards themselves, that means 3.5-7 million will be issued in 2015 (per card cost is $5-10 per CNBC though this might be inflated). With almost 60 million cardholders as of 2012, that may mean Discover will be nowhere near ready for EMV by the October deadline. Discover is its own network, with very few (and declining - Walmart/Sams is out, as is ex-HSBC now CapOne) third-party issuers, so it can set whatever "deadline" it wants for its own liability shift. Anyway, assuming Discover cards are good for five years, that means that ~12 million cards would be changed out to EMV every 12 month period. Assuming equal distribution for each of the twelve months, we could be looking at a timeframe between May (7 million figure) and August (3.5 million) before the first Discover EMV cards are issued. If the former, there's a good chance they'll won't support offline transactions and possibly be chip and signature. 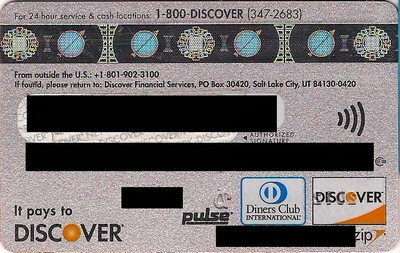 The Diners Club network (for non-US/non-Canadian Diners Club cards) and the Discover netowrk are the same network. Meanwhile, reports on FT indicate that Diners Club cards in some other countries are still swipe-only, even as those countries have otherwise long gone all-EMV. JCB USA issued cards have nothing to do with Discover issued cards, so there's a good reason those cards aren't included in that number! Discover doesn't have a deadline as the deadline was created by Amex, Visa and MC. Discover can just take their time. 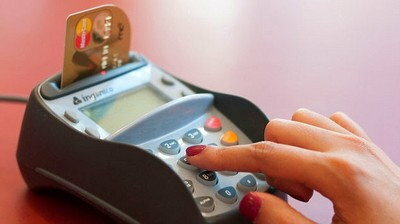 The deadline only applies to amex, Visa and MC credit and debit cards. 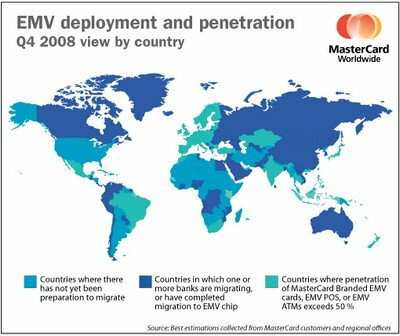 It has become painfully obvious to me that the liability shift in the United States will be unlike anywhere else in the world where many, mostly smaller, businesses are going to just say "screw it, we'll deal with any fraud rather than upgrade" - many don't even know what EMV is yet, at less that 10 months to go. Only one large merchant has EMV enabled, and its implementation is terrible and useless. 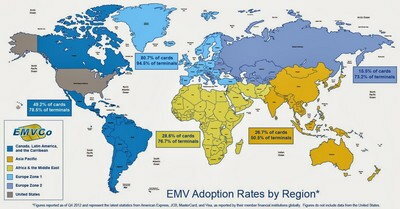 Don't get me wrong, most transactions in the US next October will be EMV. But that's because most transactions occur at large merchants. American Express is trying to reach out to their merchants, but I still don't see small business having any real interest in supporting chip cards before the deadline. Many small merchants just use what the bank gives them and a lot of them already have chip slots with EMV just a software update away. 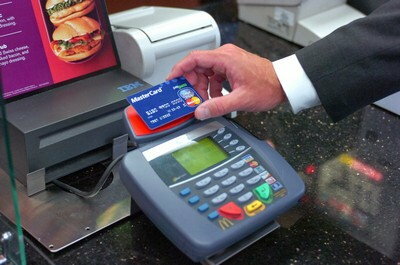 Wells Fargo Merchant services is enabling EMV and NFC 6 months from now. Chase Paymentech will enable it for all in a few months as well, with some being enabled now. Square has an EMV reader coming in Spring. This means the only places you'd have to worry about are small merchants that uses a computer based POS system running a Windows variant- these merchants have a lot more work to do than just adding a PIN pad. Namely mom and pop pizza and burger joints etc. The scary part, when talking with the owners of the aforementioned business, they don't even know what EMV Or chip cards even are, so they may be liable for fraud and not even know it. - probably due to irresponsible business owners, and thinking the leaflets about chip cards were advertising and didn't pay attention to it. The cheapest solution for these businesses is just obtain a traditional terminal from their merchant provider, an ideal solution is redoing their store software, and add a PIN pad, like most larger stores. One Indian place here actually has a cheap Ingenico terminal but they're still using a restaurant POS. The former isn't hooked in though so they're still swiping.